If you haven’t read Narrative of the Life of Frederick Douglass or you haven’t read it in a long time, you should read it. It will make you feel terrible, but you should read it. It has a happy ending. I read this book when I was a child and while I really wasn’t able to process or understand the cruelty that Douglass witnessed and endured as a slave, I was inspired by the strength of his character. 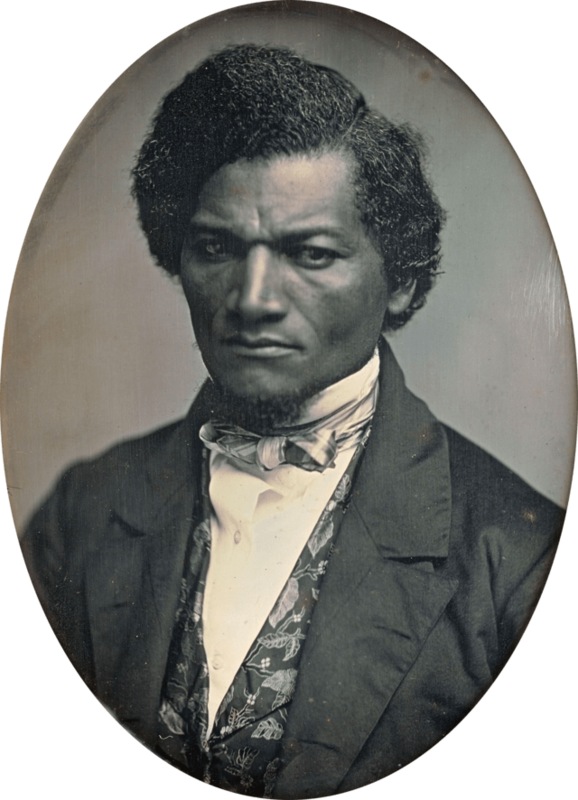 As an adult, the facts of Douglass’ early life are much more gut-wrenchingly horrific, and his ability to retain a sense of personal worth and dignity are even more admirable. Douglass was sent to Baltimore, where the wife of his owner began to teach him to read, until her husband made her stop, because it was illegal to teach slaves to read. With dogged determination and resourcefulness, Douglass secretly continued to teach himself how to read. He read abolitionist tracts. He became more enraged at the cruel injustice of slavery and more determined to be free. Look, I was going to keep writing, but I don’t actually want to say much about this book. You don’t need to hear it from me, you should hear it from Frederick Douglass himself. The entire purpose of a “slave narrative” is to learn about oppression from the oppressed, instead of getting your information second hand. Besides, Douglass is way more eloquent than I am. Every line in Narrative of the Life of Frederick Douglass agitates my emotions. I have admired Frederick Douglass for a long time. I think he possibly lived the most admirable life of any American ever. I didn’t dress up as Frederick Douglass, because that didn’t seem respectful and racial politics are complicated. What I did do was visit the house where he lived in Washington, D.C. which is a historical site now. If you live in or are visiting the D.C. area, you should go to the site and learn about this man. Ironically, his house is very close to a school where I taught. A school in which 98% of students are African American and 14% of students are proficient in reading. Frederick Douglass’ work is not done. Beware of religious revivalism. It saves no souls. Be faithful, be vigilant, be untiring in your efforts to break every yoke, and let the oppressed go free. It’s easier to build strong children then repair broken men. Just read it. It’s not very long. It’s in the public domain, so you can get it for free. No excuses, just read it.